Description: Be prepared to collect compliments with this bold and glowing statement piece. 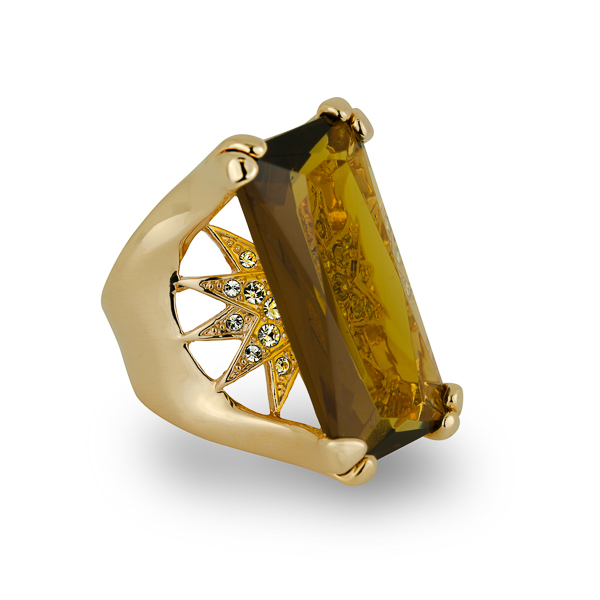 Rectangular smokey topaz diamond cut glass stone sits atop a 14k gold plated open frame with an iridescent crystal starburst base showing through. 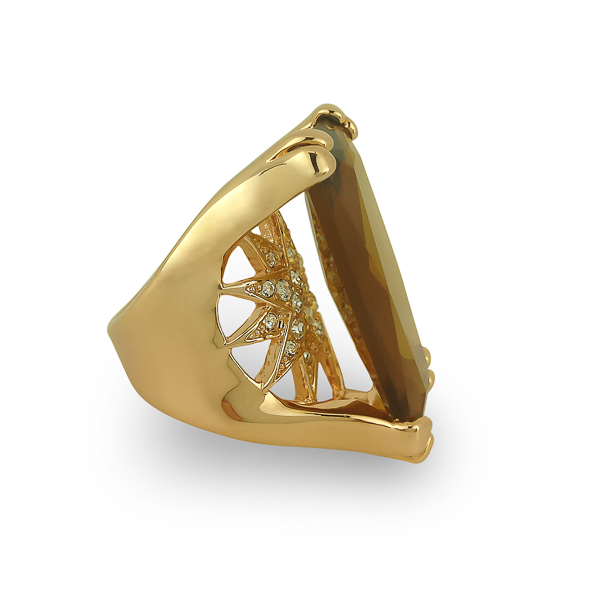 Material and Measurements: 14K Gold Plated Base Metal, Diamond Cut Glass Stone, Crystals - Focal Point 1 1/4" X 7/8"
Enter Quantity for R-AE070 to add to your shopping cart.